Proudly Providing Home Inspection Services to the Denver Metro Area. Inspected Once, Inspected Right. A home is the biggest purchase you’ll ever make, so it’s important to understand the condition of your investment. Let Bread & Butter Home Inspections provide the thorough inspection you expect and a report you can rely on to make a confident decision. With training by InterNACHI® — the International Association of Certified Home Inspectors — we have the knowledge to spot problems with materials, installation and workmanship that other inspectors might miss. We follow a comprehensive Standards of Practice, which ensures that you receive a detailed and accurate home inspection. We also abide by a strict Code of Ethics, which puts your interests first and protects your rights as a consumer. We understand how stressful a real estate transaction can be. 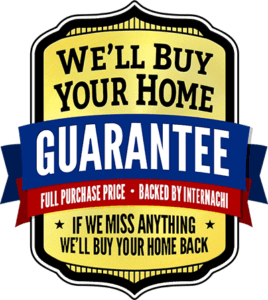 So, whether you’re buying or building a new home, selling the one you’re in, or purchasing an investment property, let Bread & Butter Home Inspections give you the peace of mind you deserve to make the right choice for your family’s future. Learn what to expect from our thorough home inspections. Learn more about what you can expect from our easy-to-read home inspection reports. If your home inspector misses anything, InterNachi will buy your home for your full purchase price. It’s that simple! Thanks for choosing Bread and Butter Home Inspections! Bread and Butter Home Inspections, LLC provides Residential Home Inspections, Sewer Camera Inspections, Radon Testing, Multi-Unit Housing Inspection and Move-In Certified Seller’s Inspection to the Denver Metro area including: Denver, Boulder, Golden, Thornton, Aurora, Arvada, Broomfield, Littleton, Westminster and neighboring cities.